Asian Merchant: [the Asian Merchant greets Frank] What's your pleasure, Mr. Cotton? This is certainly Clive Barker's Masterpiece. 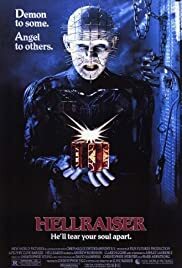 His 1987 film, "Hellraiser" is a really good example of how a late 80's horror film can work. Nearing the 90's, horror films started to go down hill. In 1991 and 1996, we got two really good thriller horrors, being "SCREAM" and "Silence of the Lambs". This film however, was the last of it's kind to give us some good late 80's slasher craze which was still born and still very fresh with horror freaks. I won't go into the plot because I believe everyone should have seen Hellraiser by now, if not, well GO SEE IT! All I can say is that the concepts of the box is terrific. A new way to kill a slashing demon is always a terrific and creative concept and it works really well in this one. I also love the soundtrack suite which is haunting beautiful and dramatic in parts. 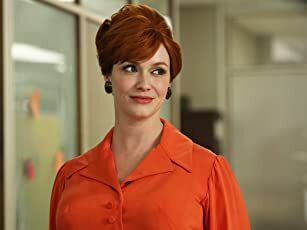 The actors are superb and their characters are believable. Doug Bradley as Pinhead is the best and he knows how to give us a creepy killer which cannot be stopped. I dunno why in "Revelations" they got a different actor to play him. Doug is Pinhead, end of story. I also like the way the death scenes and plot are shown. The director takes it a little step at a time while as most directors just go full on with the violence and exploit everything. Clive actually took his time to tell the story and that's what made most of the ending sequences and starting deaths so intense. It all left us to the core suspense. Also, the 1987 film is the only Hellraiser film I have really liked. I've also seen part 3, 4 and 6. 3 was OK, 4 was dodgy and 6 sucked. The thing about the first film was that it had a dramatic fantasy to it, while being realistic, people were dying for real. The other Hellraiser films I have seen since then haven't really had the same impact but instead really try to rehash and be as shocking, doesn't work at all!? My verdict on this 87 classic is a 7.5/10. P.S: I just hope they can get this right in the remake next year.